Thank you for visiting our website and supporting our authors. Pendragonvariety.com will be on indefinite hiatus. In the mean time, you can visit our authors page to find their author websites – our authors are always up to something! We have enjoyed highlighting our authors new releases, book reviews, and related news on this blog for the past two years. During those two years we dealt with many technical issues in our attempts to optimize our social media reach with automated tweets and posts to facebook — some of these automated features now refuse to work, and unfortunately, we have a small staff for curating things like that by hand. During that time we’ve also seen many of our authors adjust their social media usage, such as by moving to Patreon, and we feel it is time that we, too, took stock and adjusted. If you’ve been with us from the beginning, you may recall that we started as a podcast which ended when several of our podcasters experienced life changes simultaneously. So much has changed since then in the internet and writing worlds, and yet many things have not changed–such as our authors still producing wonderful stories. This blog served as a rebirth and re-branding of the podcast that we hoped would aid our favorite authors in reaching readers, and give readers a place to discover and follow several female authors hand-picked by our staff. We already know of several exciting projects by our authors for the upcoming year, but we are not sure the best way to share them. 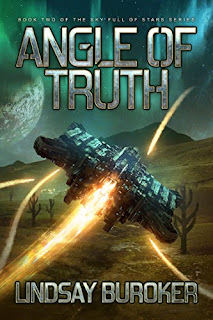 At our core we have always been about writing and reading genre fiction. We would love to revitalize this website. We’re open to ideas on the best way to go about that. If you have ideas or are interested in helping, we’d love to hear from you. Join Lindsay Buroker’s email list to keep up-to-date on her releases, and get free content. Buroker is a prolific writer with a variety of series to whet your appetite. Pick up The Rogue Prince and Angle of Truth now on Amazon. Princess-author Alethea Kontis continues to entertain with her free patreon posts, Weekly Smilemail and Fairytale Friday, which recently featured her rant on Rumplestiltskin. Althea asked her fans what awesome authors they follow on Patreon. 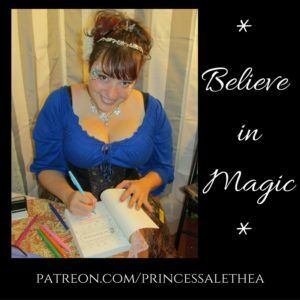 Check out Althea’s list of Awesome Patreon Authors! Alethea invites you to comment with any authors you don’t see on the list. What a great way to discover authors and help others discover your favorites! Oh, how fun! 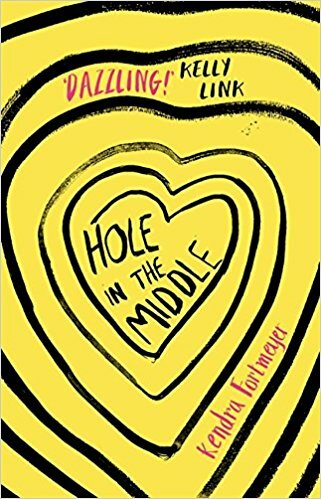 Read Kendra Fortmeyer’s interview with FLAPPERHOUSE here, and preorder The Hole in the Middle here.